Tencent Technology News According to foreign media reports, Adrian Keppler, CEO of industrial technology service provider EOS, said in an interview on Thursday that 3D printing technology can change the construction industry, but this technology The rate of popularity has been slow because people do not know enough about this technology. Kepler said that the construction industry may be changed because of 3D printing technology, but business owners do not understand this technology, which affects the promotion of this technology. He said: "People don't understand it. They have a hard time understanding what this means for their company." Kepler said that 3D printing technology can be used to manufacture light components, which may benefit car manufacturers because the automotive industry is turning to electrification, and more and more regulatory agencies are beginning to strictly enforce emission limits. Kepler said: "If you use bionic design to print lightweight components, this will help you reduce the weight of the car or aircraft, thereby increasing efficiency and reducing emissions." Kepler said that this is not just a lack of understanding of the technology. He said that because many universities are only now beginning to turn their attention to 3D printing, there are very few graduates who are very familiar with 3D printing technology and can fully realize the potential of this technology. In April this year, EOS announced in a press release that it will cooperate with automaker Daimler and aircraft parts manufacturer AEROTEC to complete a joint project to apply 3D printing technology to large-scale manufacturing. 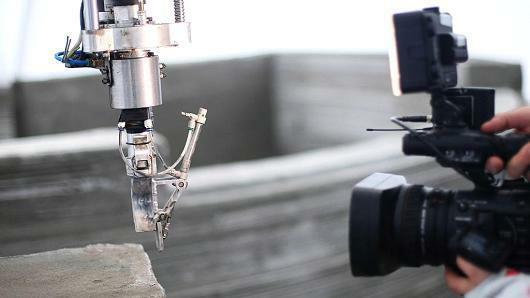 Prev：lift up your head ,if not, the crown falNext：3d printing tiles: beauty to explode!